Here at Reynolds Ford of Norman, we’ve been a part of the business community in Norman, OK for quite some time now, and we’ve always taken great pride in being a resource to workers and business owners from our hometown and the nearby communities of Oklahoma City, Blanchard, and Mustang, OK. We know that when it comes to tackling tough jobs, a capable heavy-duty truck is possibly one of the best utilities to have in nearly any industry. 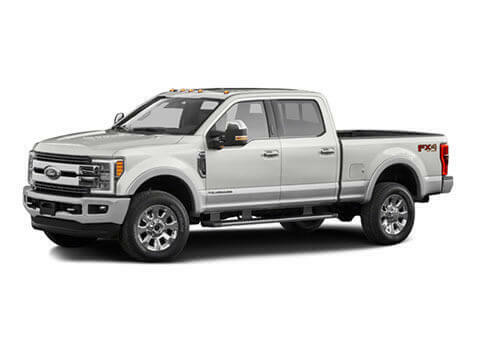 And when it comes to capable heavy-duty trucks, there’s no better option out there than the Ford Super Duty. That said, we know that if you’re looking for a reliable pickup truck to help support your livelihood, you know that it pays to scope out the competition a bit. Luckily, you won’t have to search all over the internet to do so. We always do our due diligence on the latest models here at Reynolds Ford of Norman, which is why we’ve put together a competitive analysis to show you how our 2017 Ford Super Duty compares to its segment rival, the 2017 GMC Sierra 2500HD. If you’re a business owner or fleet manager here in Norman or nearby Mustang OK, Blanchard, or Oklahoma City, OK, you know the importance of keeping costs down. Luckily, the 2017 Ford Super Duty comes at an exceptionally accessible price point of just $32,535 MSRP. The GMC Sierra 2500HD, on the other hand, is significantly more pricey, with an entry level price point of $33,445 MSRP. For those who spend their days running from jobsite to jobsite, towing supplies and gear is a daily challenge. Luckily, the 2017 Ford F-250 Super Duty is well-equipped to make the ponderous task of towing heavy loads significantly simpler. With a maximum tow rating of 18,600 pounds and available utility features like the Trailer Reverse Guidance system, Adaptive Steering system, BLIS® Blind Spot Information System with Trailer Coverage and Cross-Traffic Alert, and Trailer Sway Control, the 2017 Ford Super Duty makes it easy for anyone to tow like a pro. 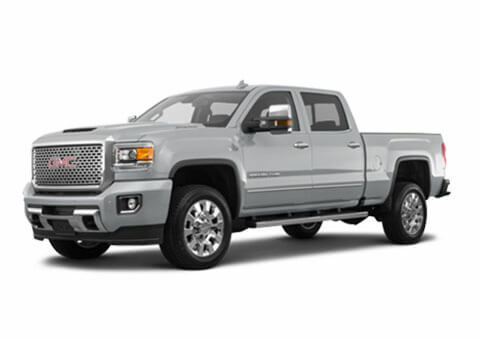 By comparison, the 2017 GMC Sierra 2500HD only manages to tow up to 18,100 pounds when properly equipped, and it lacks comparable technologies to match the sophistication the Ford Super Duty offers. There’s no denying that with large full-size trucks, visibility is a constant concern. Fortunately, Ford has made it all too easy to be aware of the 2017 Ford Super Duty’s surroundings thanks to its available array of seven cameras placed intuitively around the vehicle’s exterior. With these cameras in place, the drivers can enjoy simply unparalleled 360 degree visibility around their vehicle, and even get a 180 degree view from the front end which should prove endlessly useful for pulling out from blind corners. The 2017 GMC Sierra 2500HD also comes with camera, but lacks the comprehensive 360 degree visibility that the properly equipped 2017 Ford Super Duty boasts, making it less capable overall.